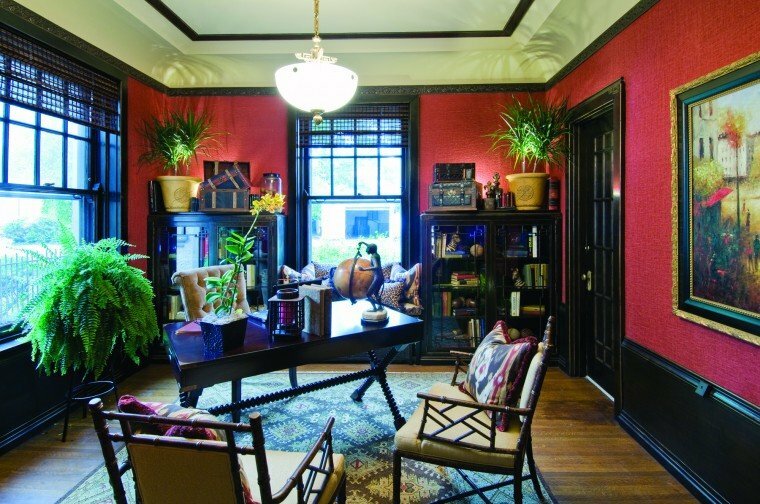 Evoking a long-vanished literary spirit, the intimate study, just off the grand foyer near the front doors, seems poised to welcome Papa Hemingway home. 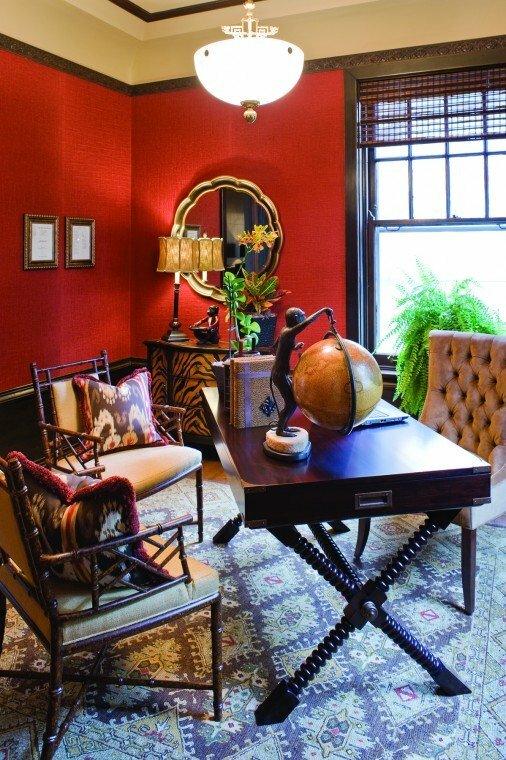 Describing the first time they saw the space, designers Anne Smith and Liz McGovern agree that their favorite part of the room was the rich wood paneling and architectural millwork. “The built-in bookcases, the casing around the pocket doors—how could you not love this space?” Smith says. “We just instantly fell in love with it!” One feature in particular captivated both designers: the Greek key pattern at the corners of the cabinetry.